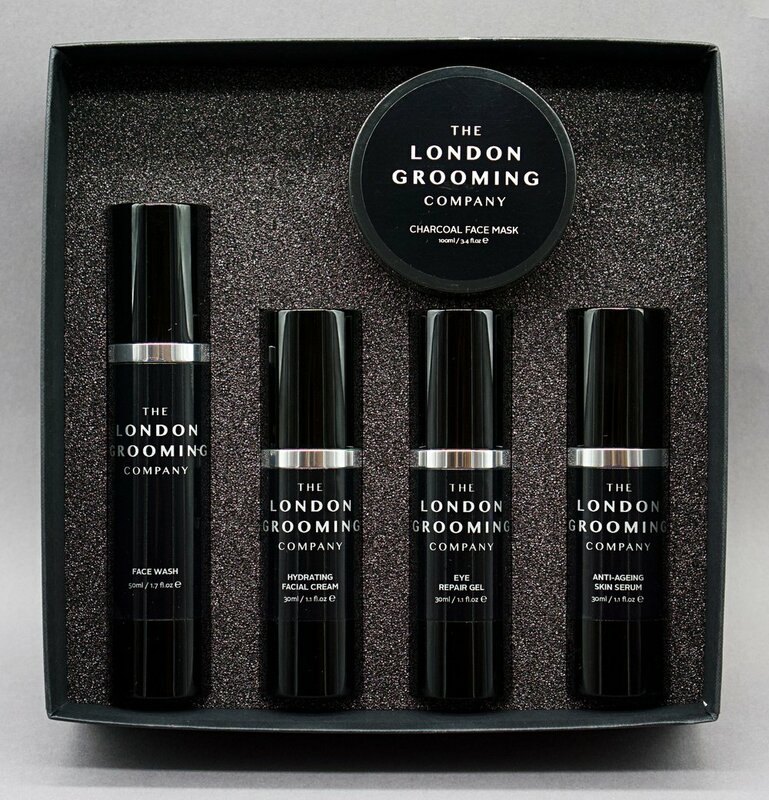 The London Grooming Company presents the perfect skincare routine. The 5 part process will leave your skin hydrated and rejuvenated for a youthful and radiant appearance. Here’s how it works: Step 1: Face Wash. With organic aloe vera the London Grooming facial cleanser will clear your skin of surface oil and impurities. Step 2: Charcoal Face Mask. London Grooming uses a 100% natural charcoal face mask that gets to work deep within the skin by exfoliating dead skin cells, dirt and toxins. As the mask dries toxins and excess oils are drawn out of the skin. Step 3: Anti-Ageing Eye Repair Gel. London Grooming have enriched this age defying gel with Retinol (Vitamin A, Vitamin C) and hyaluronic acid. This combination fights signs of ageing around the eyes by delivering radiant and firmer skin. Step 4: Anti-Ageing Skin Serum. This unique serum works hard to reduce pore size and minimize the appearance of fine lines and wrinkles. It’s lighter than a moisturiser yet delivers its ingredients efficiently into the skin. Step 5: Hydrating Facial Cream. The London Grooming facial cream has a lightweight formula to lock in all your skin’s natural moisture while also protecting and nourishing. The cream helps to reduce the appearance of fine lines and wrinkles leaving your skin smooth and soft. The London Grooming Company 5 step skincare process is full of natural ingredients to nourish and protect your skin in gentle formulas that can be used daily. The skincare routine will take you through the vital steps to clear, healthy and hydrated skin for a radiant and youthful look.